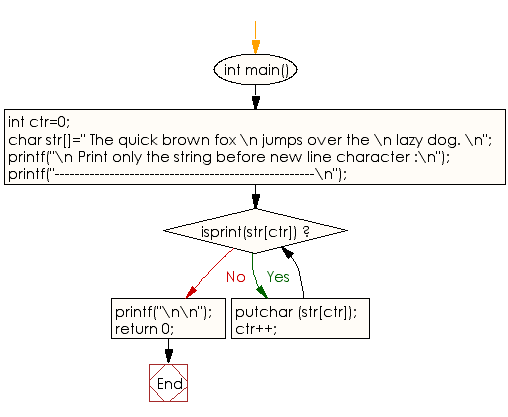 Write a program in C to print only the string before new line character. Note: isprint() will only print line one, because the newline character is not printable. Previous: Write a program in C to count the number of punctuation characters exists in a string. Next: Write a program in C to check whether a letter is lowercase or not.